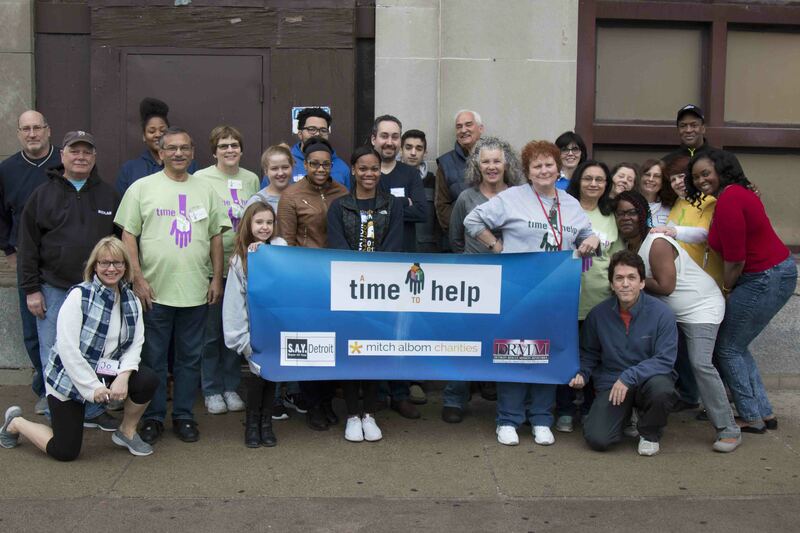 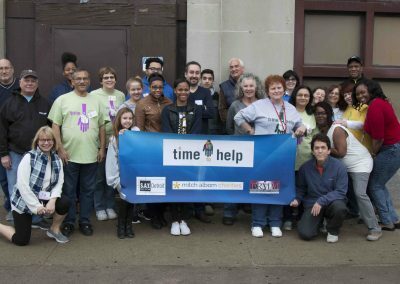 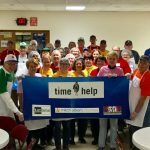 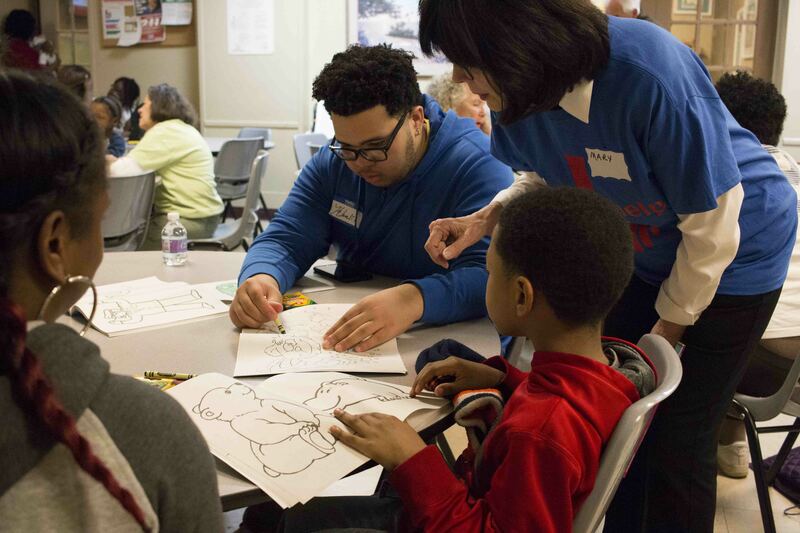 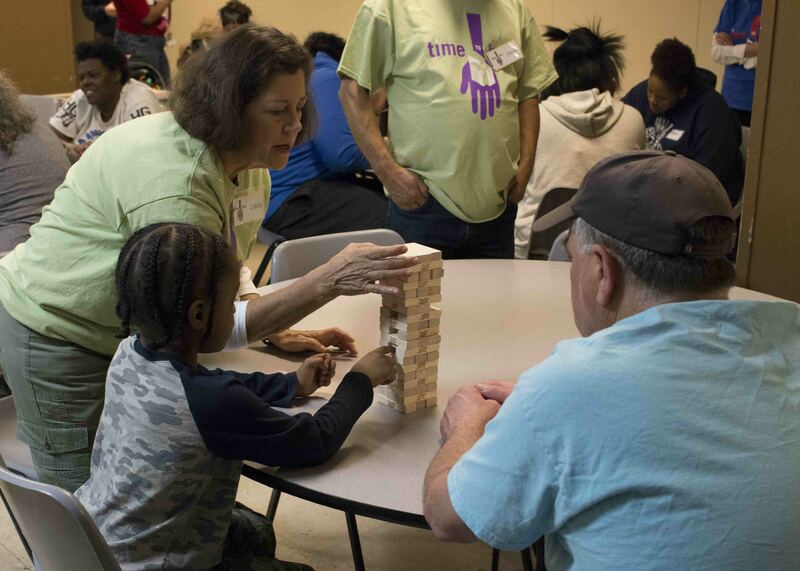 A Time to Help’s third project of the year on Saturday (March 25) benefited a group that needed a morning to relax and have fun: Women and children involved with COTS and its Bright Beginning Child Development Center. 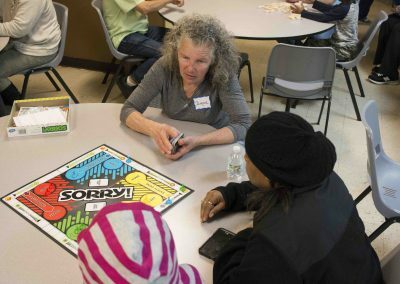 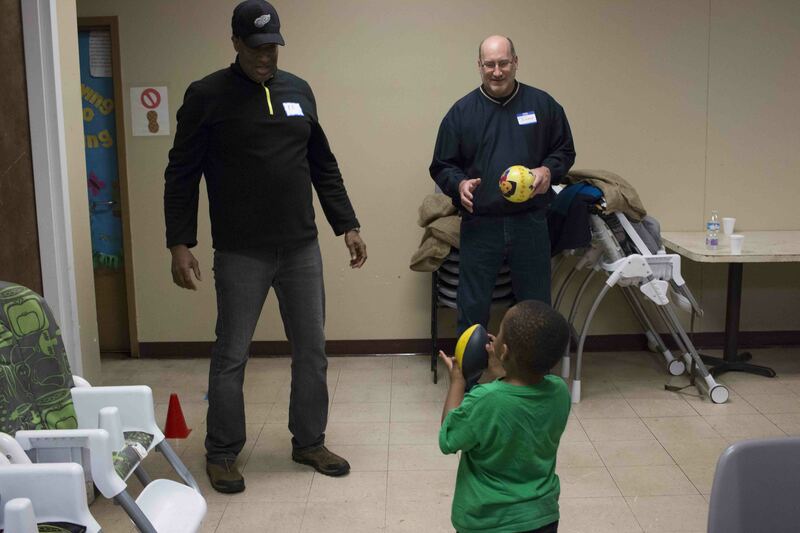 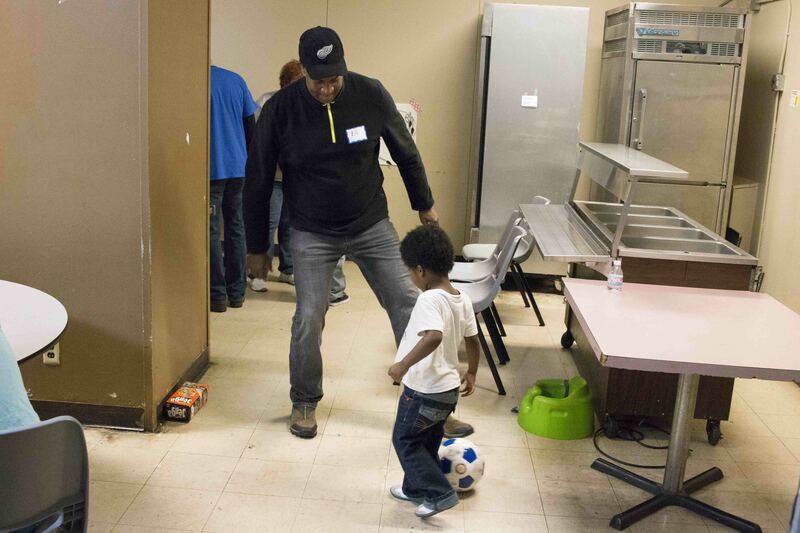 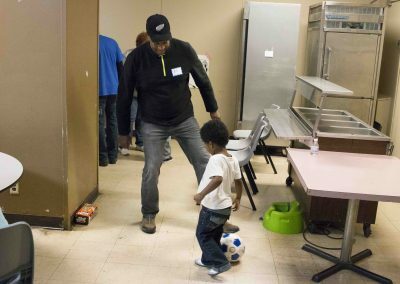 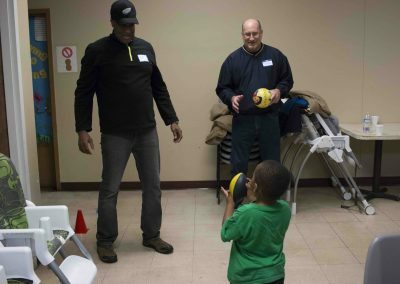 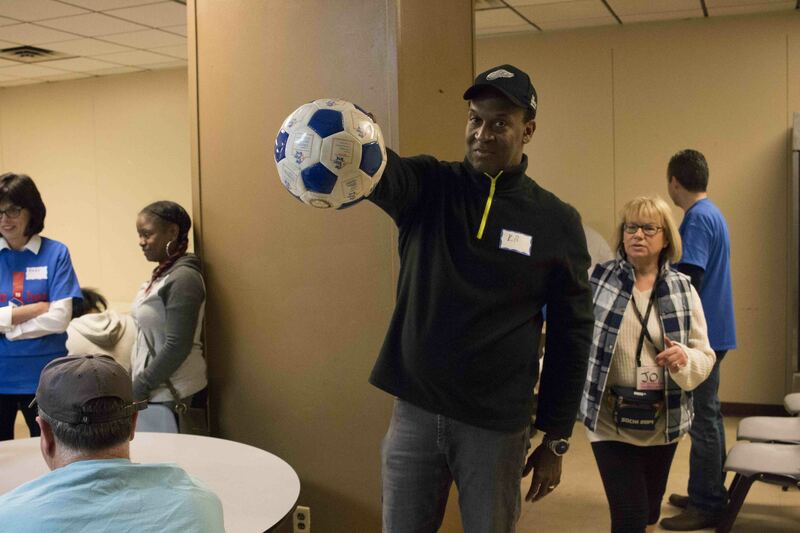 For more than two hours, more than two dozen A Time To Help volunteers played games with the children during a “Family Fun Day’’ in the cafeteria at COTS’ family-only emergency shelter. 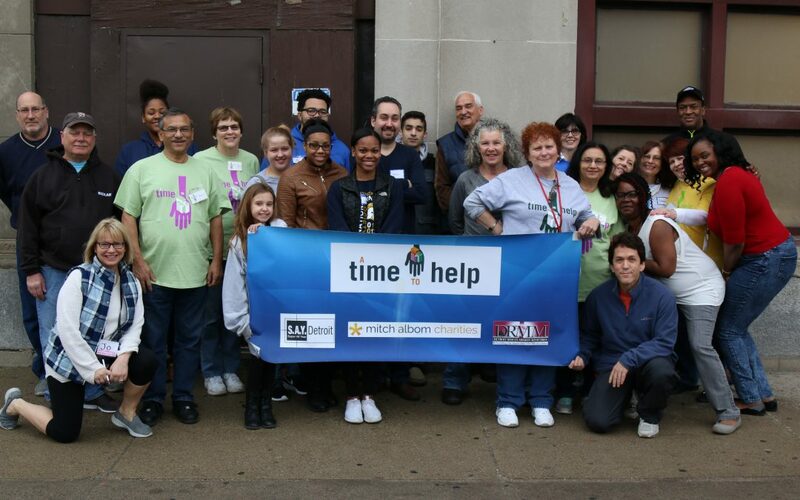 The event was hosted and kicked off by S.A.Y. Detroit founder Mitch Albom and Ken Brown, Albom’s radio show co-host. 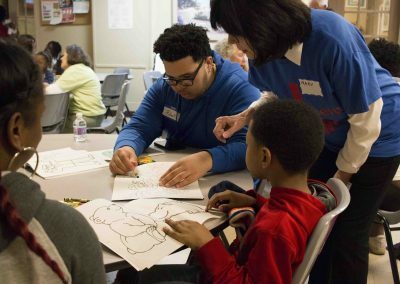 “We thank Mitch Albom and his volunteers who came in for our Family Fun Day,” said Konah Kolleh, COTS volunteer and stewardship coordinator. 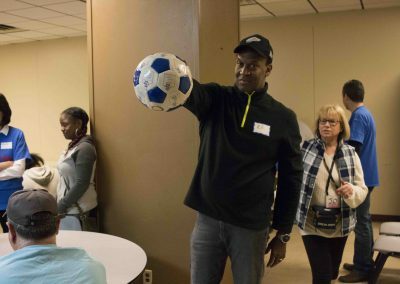 “Because of your giving back, our families were able to focus on having fun and not on what they’re going through in their transition. 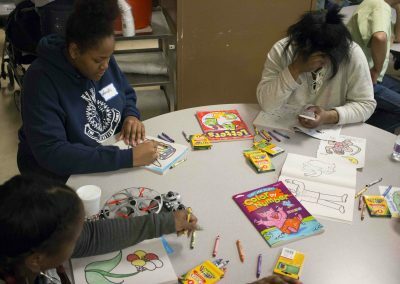 This gave the parents a break. 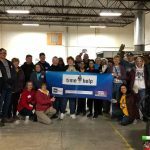 “I was talking to one mom, and she said she hadn’t seen her child since she got here – and that’s a good thing because her child was playing a game with one of your volunteers. 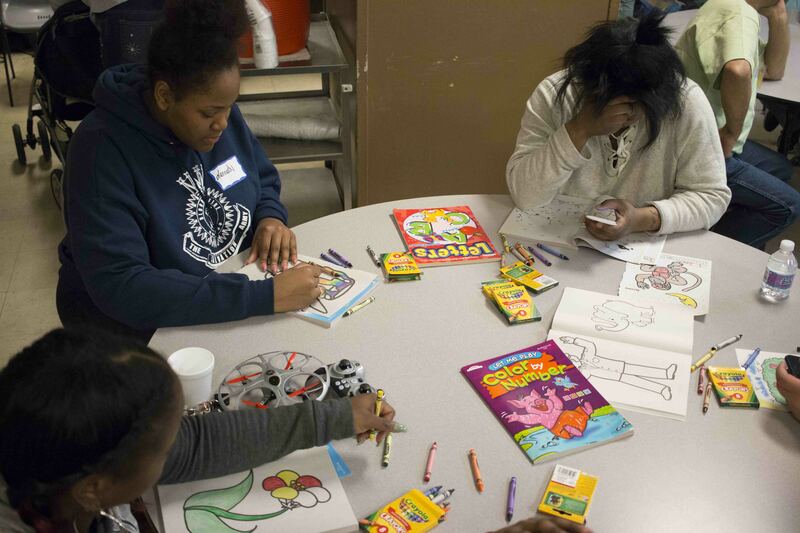 Today was a day where the parents could sit back, relax, and breathe — and for the kids to be kids. 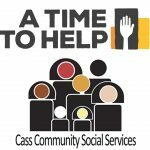 ATTH’s next project will be held April 8 at Cass Community Social Services.